If you're wondering how to unlock specializations in Division 2, look no further. They're a huge component of the endgame in The Division 2, as they essentially introduce a class based system that allows you to fill a role and buff your loadout even more. 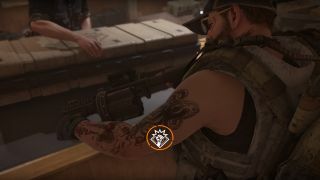 You have to wait until you've finished the first part of the story though, so if you're wondering exactly how to unlock specializations in The Division 2, read on. Reach level 30 - Level 30 is the level cap right now, and you can't progress further. Complete the main story - Once you've finished all of the strongholds and the Black Tusk has invaded, you've completed the main story and reached endgame. When you've done both of those, you'll return to the White House and Coop Denison will call you over. He'll give you the option to choose one of three specializations; Demolitionist, Sharpshooter, or Survivalist. Each one has a number of strengths and weaknesses, so pick your preferred specialization and get to work. If you don't like the one you've picked, you can change it at any point so worry not. Why not use your new found specializations to take out hunters and earn all of the Division 2 masks?